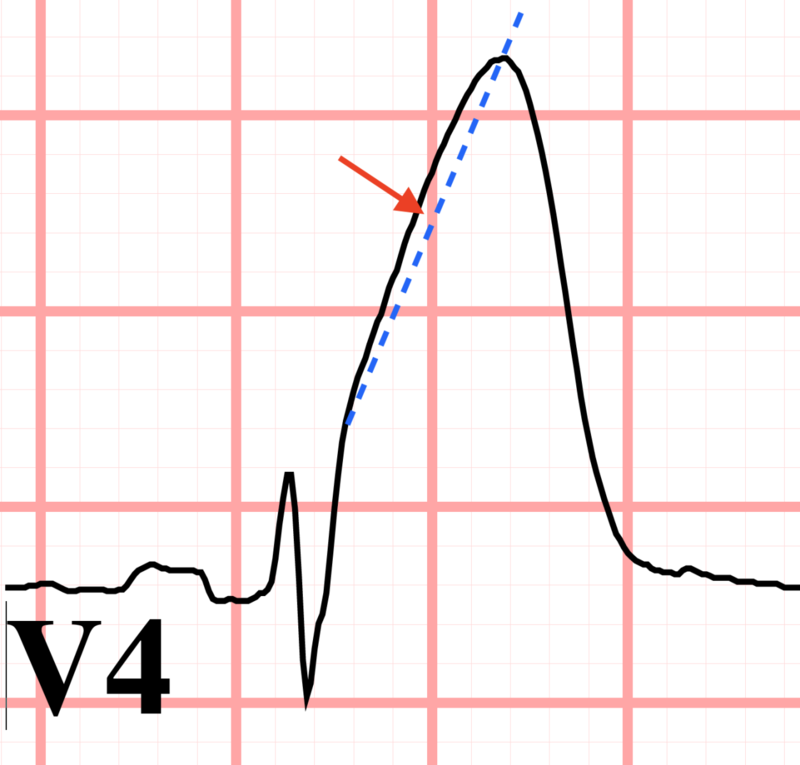 After you analyze the elevation or depression of the ST segment, next analyze the slope of the ST segment. It be: upsloping, downsloping, or have no slope. 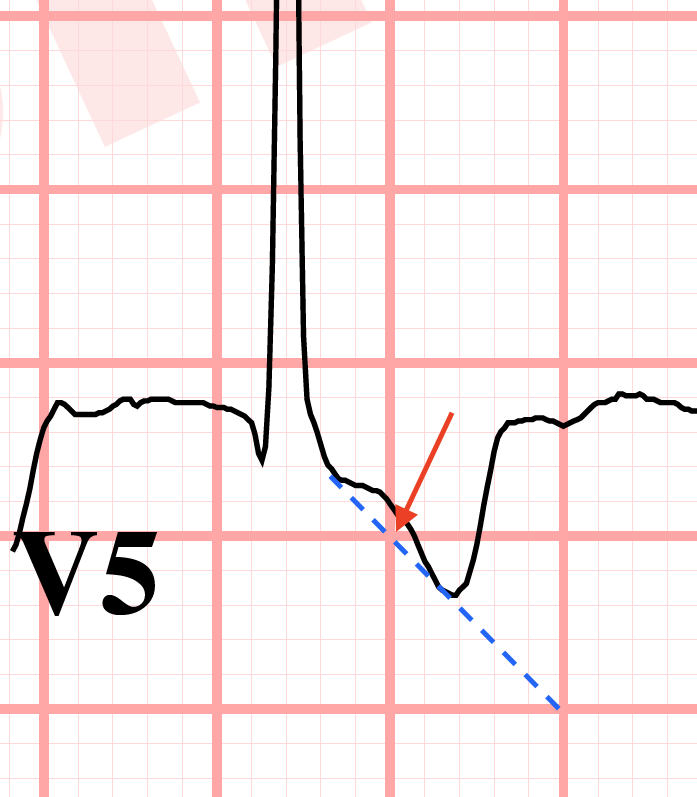 The above example also shows ST segment elevation. Do not confuse absolute position with sloping. 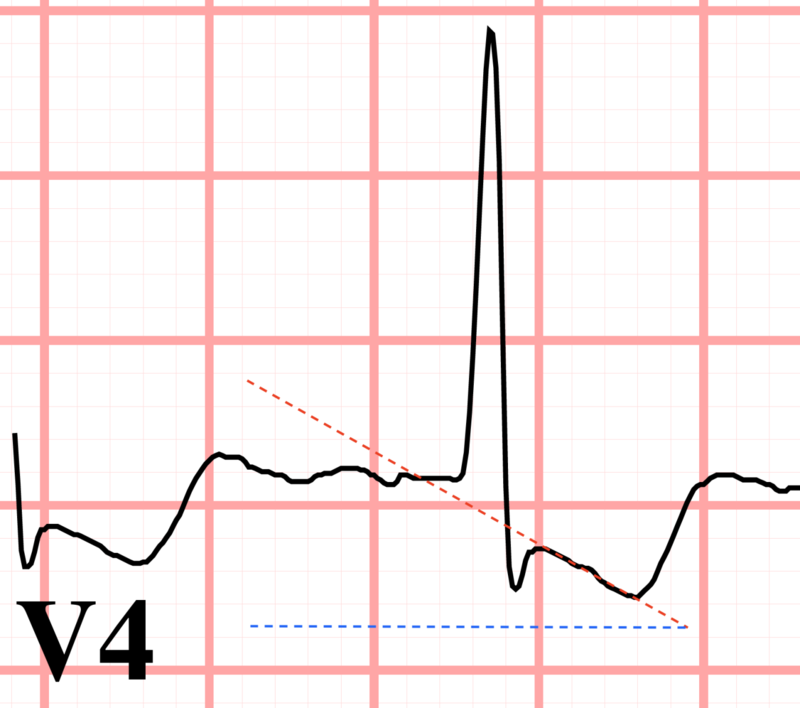 The above example has ST segment elevation that is upsloping. Lastly, analyze the shape of the ST segment. It can be flat, concave, or convex. The concave shape is sometimes also called "scooped". 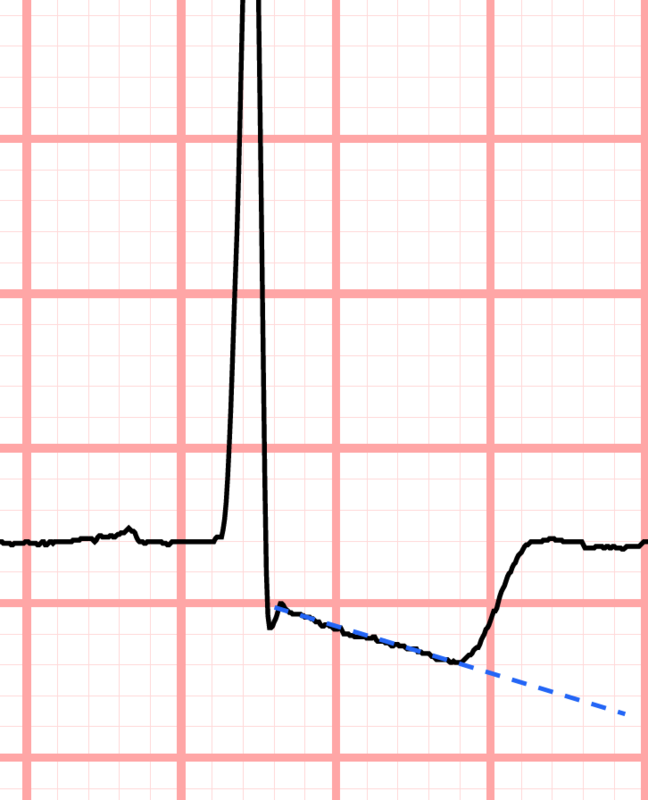 The blue line travels from the J point (approximately) to the peak of the T wave. 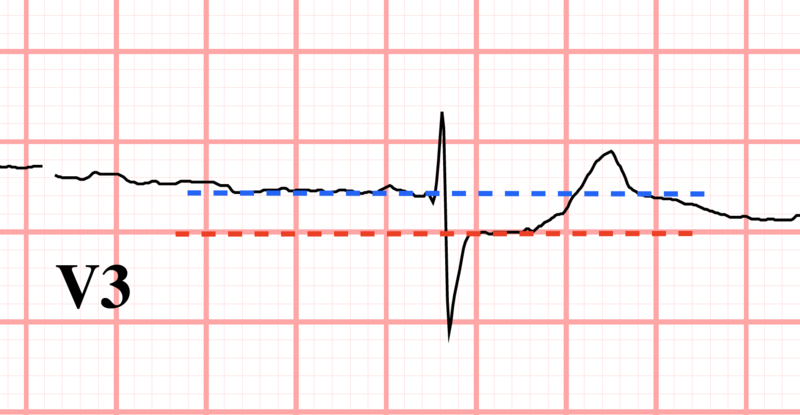 The red arrow indicates the space under the blue line to show the ST segment is concave upward. The ST segment can also be concave down which can occur with ST depression. 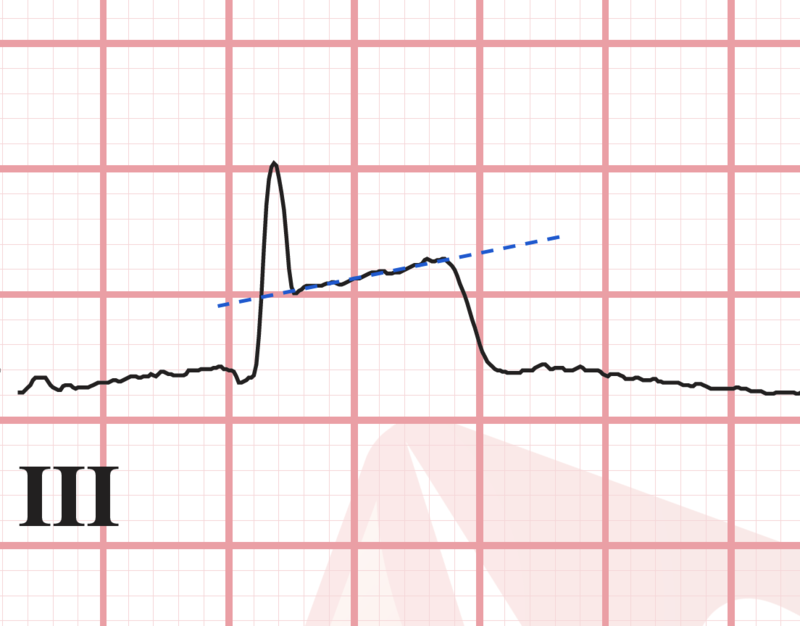 Note that the T wave in this example is downgoing and contributes to the overall shape of the ST segment. The blue line connects the J point and the tip of the T wave and the red arrow shows the space between the blue line and the ST segment. 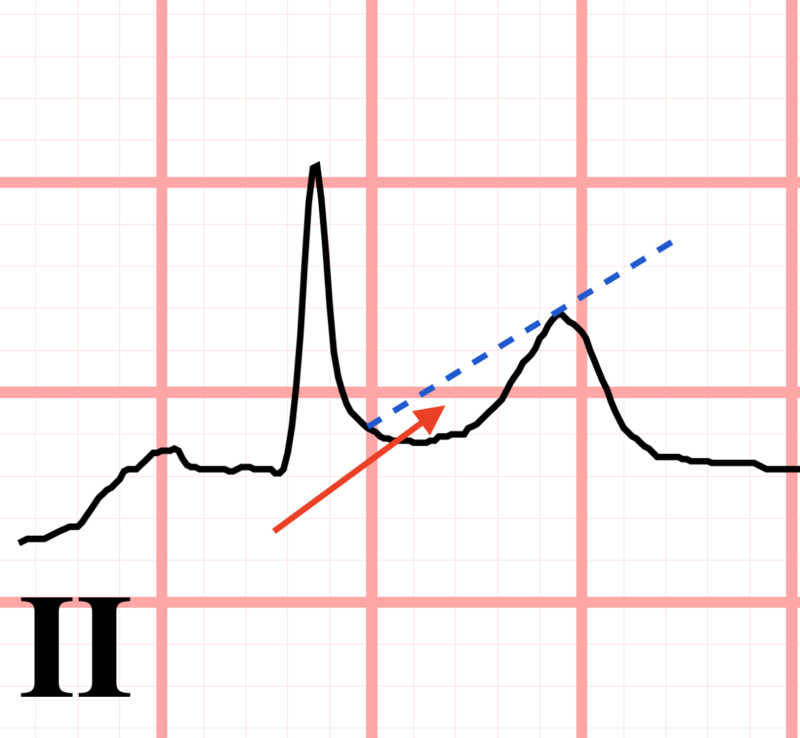 Analysis of the ST segment is very important because many diagnoses are established by analysing the ST segment.